Stari Grad Plain represents a comprehensive system of land use and agricultural colonization by the Greeks, in the 4th century BC. Its land organization system, based on geometrical parcels with dry stone wall boundaries (chora), is exemplary. This system was completed from the very first by a rainwater recovery system involving the use of tanks and gutters. This testimony is of Outstanding Universal Value. The land parcel system set up by the Greek colonizers has been respected over later periods. Agricultural activity in the chora has been uninterrupted for 24 centuries up to the present day, and is mainly based on grapes and olives. The ensemble today constitutes the cultural landscape of a fertile cultivated plain whose territorial organization is that of the Greek colonization. 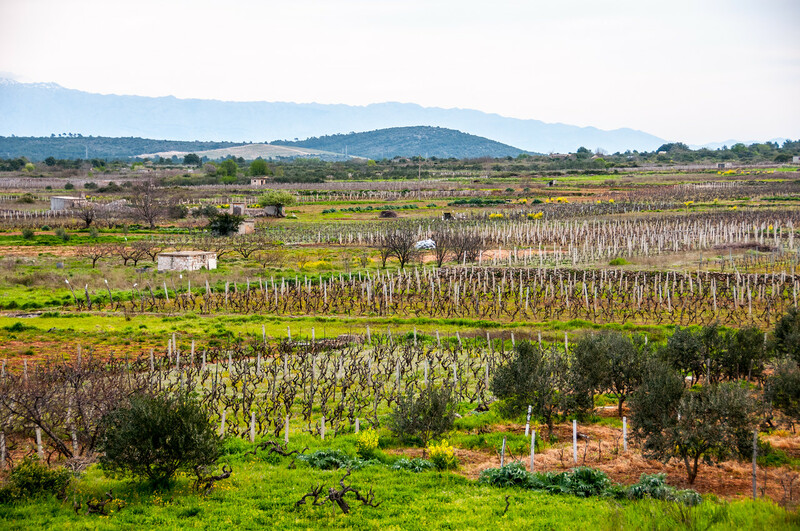 The Greek cadastral system has been fully respected during the continued agricultural use of the plain, based on the same crops. This system is today perfectly identifiable and has changed very little. 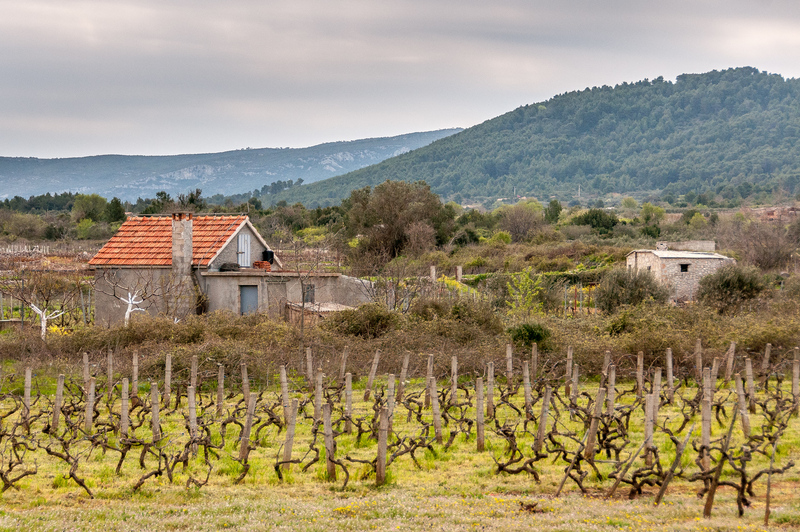 Stari Grad Plain forms an agricultural and land use ensemble of great integrity. The authenticity of the Greek land division system known as chora is clearly in evidence throughout the plain. The built structures of the stone walls are authentic, with the same basic dry stone wall materials being used and reused since the foundation by the Greeks. I had a difficult time trying to figure out what to make of the Stari Grad Plain. It is a large section of farm fields. That’s it. There are some small outbuildings and stone walls, but that’s it. The reason given for its inscription is that it is an area which has been continuously used in the same way, in the same layout since colonization by the Greeks. Yet, I can’t help but think there are many places like this all over the Adriatic. I’ve gone back and forth several times in my mind trying to determine if this is a unique world heritage property or just one of the many sites which probably should never have been listed in the first place. Either way, visiting is very easy if you are going to the island of Hvar. The plain is only a 5-minute drive from the ferry terminal. There is no visitor or interpretative center but there are some signs located on the main road through the plain. Hvar itself is accessible by ferry from the city of Split, which is the second largest city in Croatia. 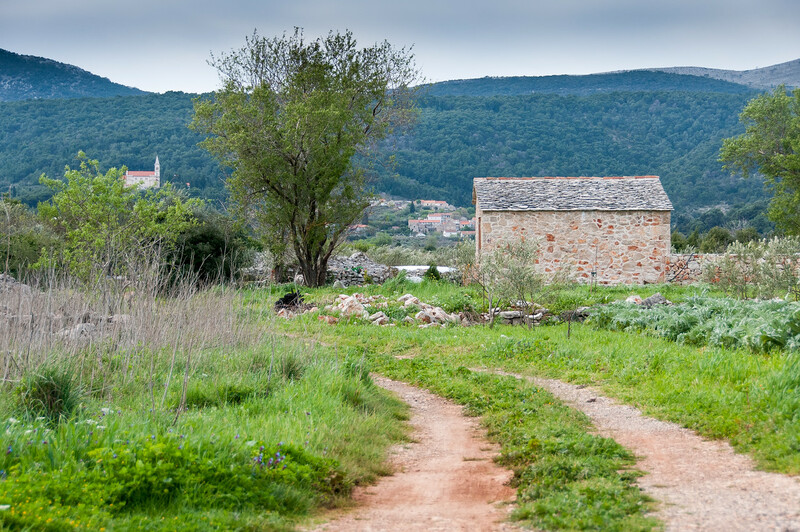 Stari Grad Plain is a cultural UNESCO World Heritage Site in Croatia. It was inscribed in 2008 and is located within the Split-Dalmatica County. 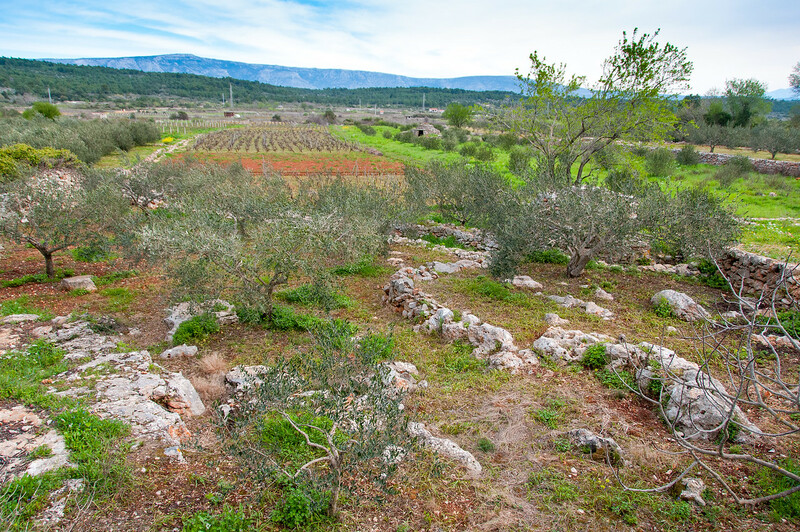 This UNESCO site is an agricultural landscape on the island of Hvar. 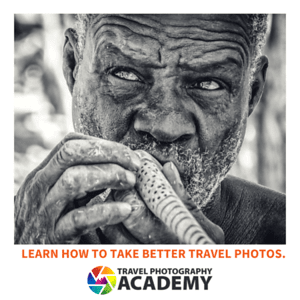 It was developed during the 4th century BC by the ancient Greek colonists. To this day, this agricultural landscape is still in use. It was the 7th location from Croatia to be named into the UNESCO World Heritage Sites list. Its original form is generally still. The ancient layout of the agricultural landscape is preserved to this day. For these reasons, it is considered of significant cultural value by UNESCO. The Stari Grad Plain in Croatia exhibits how the ancient Greeks conducted their agricultural activity during the ancient time. Given that archaeologists trace back the history of this agricultural landscape to the 4th century BC, it provides an important glimpse into the agricultural system used during that time. The installation of stone walls around the Stari Grad Plain can be attributed to the excellent level of preservation of the site. These walls have been around for 24 centuries. There are also stone shelters built near or around the Stari Grad Plain and they are known as trims. The water collection system of the agricultural site is also notable for being advanced for its time. This water collection system is equipped with a rainwater recovery system that uses gutters and storage cisterns in order to collect water that can later be used for the site’s irrigation system. This is one of the most unique sites to exhibit the ancient Greek system of agriculture. 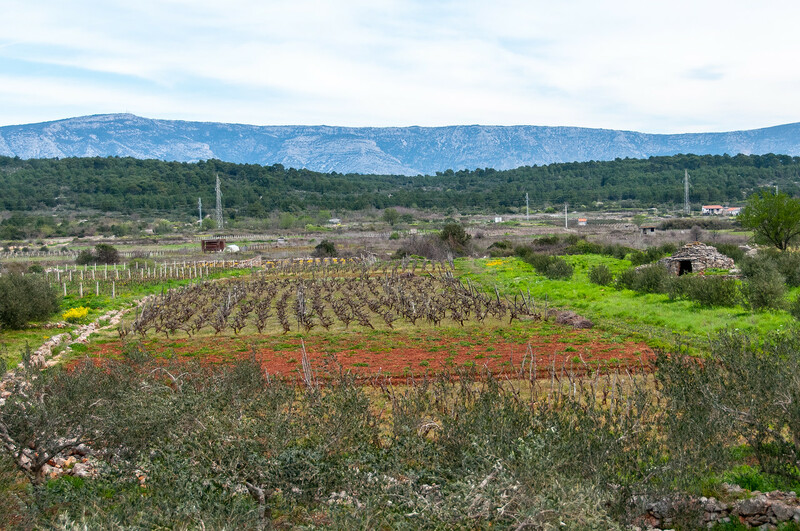 The fields of Stari Grad Plain continue to produce a wide range of crops such as grapes and olives. This explains why the site was also named as a natural reserve in order to continue its ability to grow these crops. Hence, what you will find today at this UNESCO site is a continuation of the agricultural system that was used at this same site for many centuries ago. For this reason, the Stari Grad Plain is also known as a Cultural Good of Croatia.